With Windows 10 Home – Break down boundaries and immerse yourself in the game with graphics more realistic than ever before thanks to the multi-thread scaling capabilities of the new Alienware 17. Dive into mind-bending virtual reality experiences with a VR-ready system. Powered by NVIDIA® VRWorks technology, a new level of presence is achieved by bringing physically realistic visuals, sound, touch interactions, and simulated environments to virtual reality. 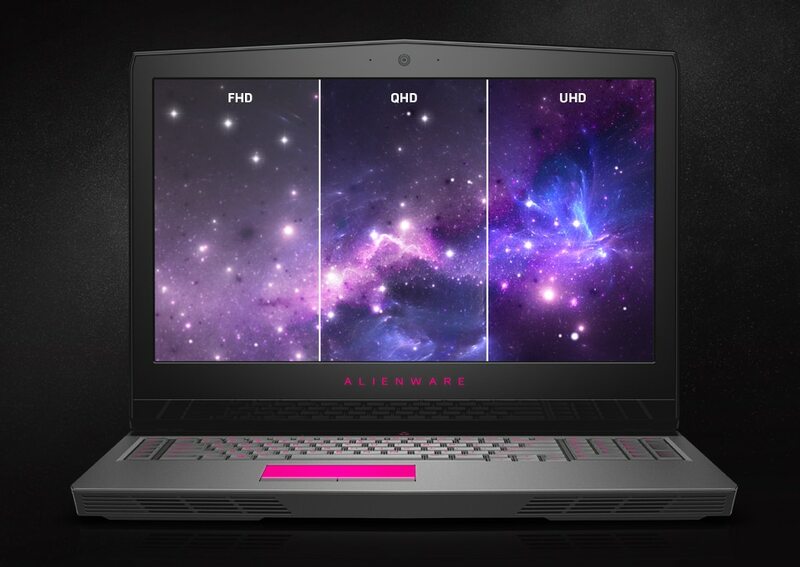 And with NVIDIA® GeForce® 10-series graphics, the Alienware 17 goes beyond what’s expected. HIGHER PERFORMANCE INSIDE AND OUT. 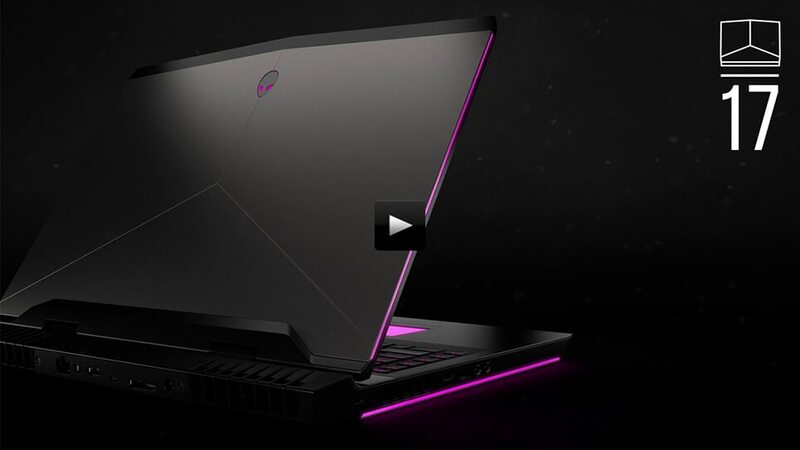 Built with premium materials and up to 6th Gen Intel® Core™ i7 processors, the Alienware 17 is the ultimate evolution in high-performance gaming technology. 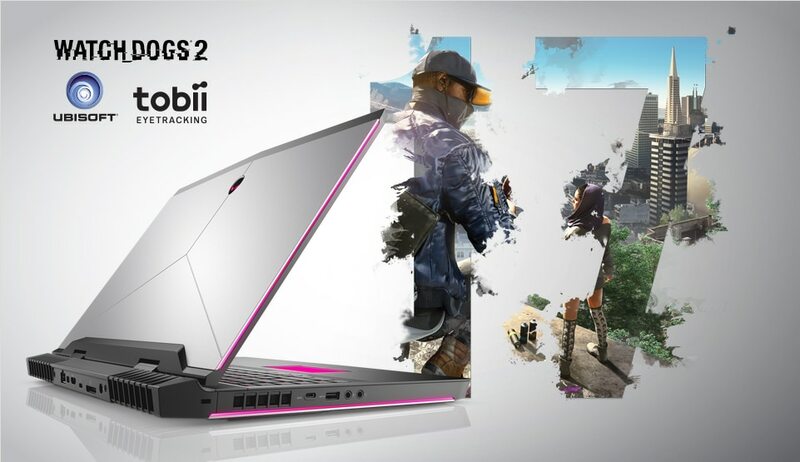 Utilizing magnesium alloy for rigidity, copper for better performance, anodized aluminum for extra protection and steel for tactile comfort, it features a high-quality design for high-performance gaming. And with support for up to NVIDIA® GTX 1070, overclocked CPUs at 3.5GHz, and high-speed DDR4 system memory capable of up to 2400MHz, you can experience gaming on a whole new level. A REVOLUTIONARY NEW WAY TO USE YOUR PC. 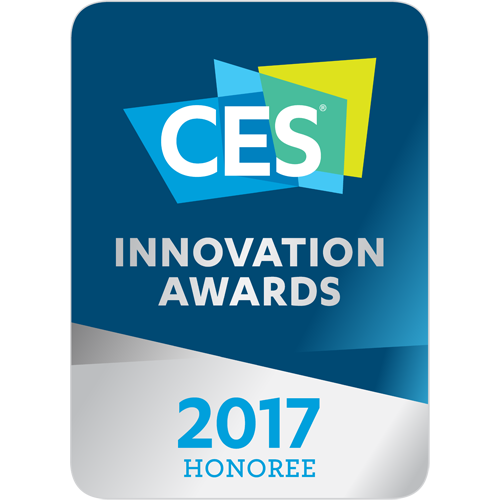 Tobii eye tracking enables new gameplay functions for a completely unique user experience. Let your eyes be the controller and lose yourself in the game. 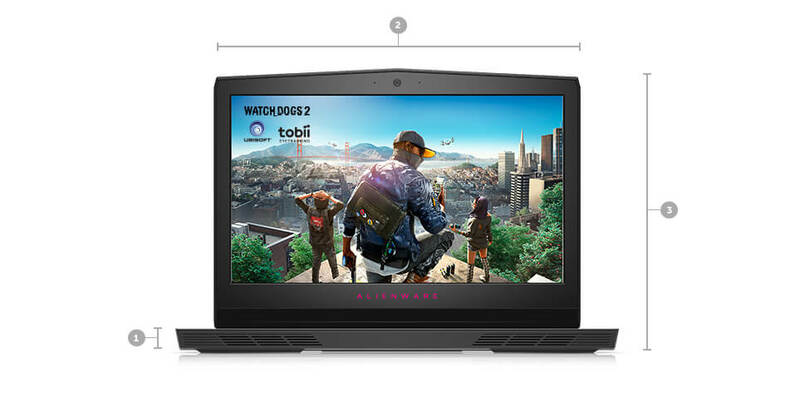 Realistic gaming functions: Armed with knowledge about your presence, eye movement and corresponding head movement, Tobii eye tracking enhances your games, including Tom Clancy's The Division, Watch Dogs 2 and Assassin’s Creed Syndicate, so you can input commands that are more in tune to real life. Aim where you look, signal teammates with a glance and navigate a cockpit freely. See the full library at www.tobii.com/apps. System intelligence: Armed with more information about you, including your attention and position in front of the laptop, your machine can now optimize power usage and even trigger more advanced security profiles. A groundbreaking new feature exclusive to Alienware machines. Game coaching: With new exclusive Overwolf apps, replay your gaze pattern and see where you went wrong. Learn from your mistakes, find new opportunities and crush the competition. Windows Hello: A revolutionary HD resolution camera with an IR sensor and facial recognition technology allows you to log in with just a look. NOTHING BETWEEN YOU AND GAMING. Witness the difference an expansive 43.1 cm (17) LCD screen can make with supported FHD & optional QHD 120Hz and UHD resolution– all with anti-glare finish. 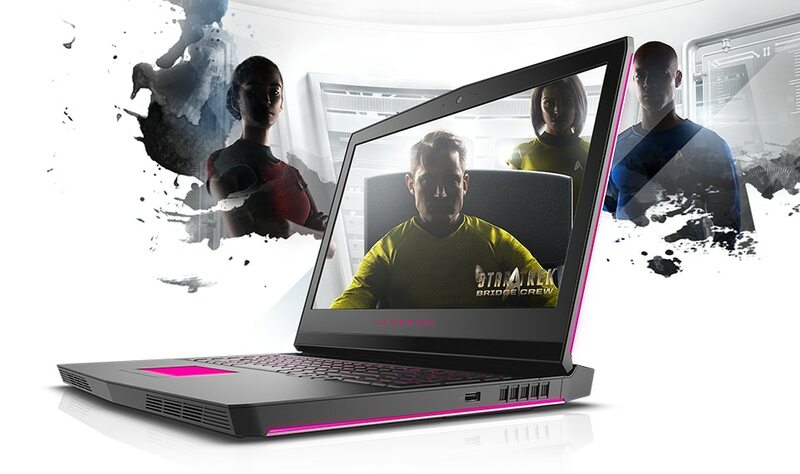 The 43.1 cm (17) QHD 120Hz display is designed to deliver the smoothest gaming experience with a 4-milisecond response time, wide viewing angles and 400 nits of brightness. The UHD panel offers a 100% color gamut for an incredible, saturated range of reds, greens and blues (compared to the 72% offered by QHD and FHD). NVIDIA® G-Sync technology, available on select models, delivers the smoothest, fastest experience ever thanks to synchronized display refresh rates to the GPU in your GeForce® GTX-powered PC, eliminating screen tearing and minimizing display stutter and input lag. METICULOUSLY DESIGNED TO DELIVER A KNOCKOUT PERFORMANCE. An innovative hinge-forward design brings the thermal shelf to the rear, enabling a variety of improved benefits – like a thinner design, better ventilation, higher quality sound and external ports organization – to stand out for an incredible gaming experience. A KEYBOARD LIKE NO OTHER. 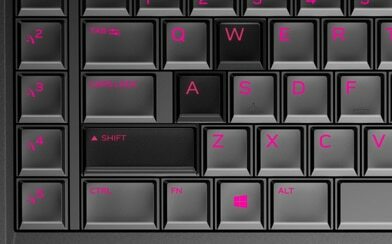 With an upgraded Alienware TactX keyboard, n-key rollover is now supported, enabling over 108-key commands for maximum actions per minute. 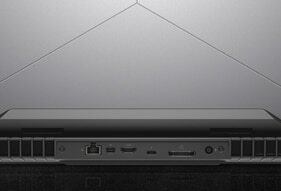 It’s the only keyboard on a laptop with 2.2mm of key travel allowing for rapid response for any keystroke. Reinforced with a steel back plate for rigidity and uniform feedback with a guarantee to stay functional for up to 10 million keystrokes. Create a more personalized look for your machine with new and improved AlienFX. Designed with optimized RGB-LED enabled AlienFX lighting and now supported on over 130 games, with the option to create and download unique themes. Higher maximum thermal design power (TDP) support means that your system can handle a higher total wattage for internal components, enabling a higher level of performance. With the entire ventilation system upgraded, your system can stay cool even under extreme graphics pressure. Due to the upgraded design, a larger and more effective speaker box has been installed, improving audio output for a clearer and more dramatic gaming experience. CLEAR THE DESKTOP & THE BOARD. Avoid excess cables and embrace the “desktop mode” design, where most of your critical connections and ports are in the back and out of the way. 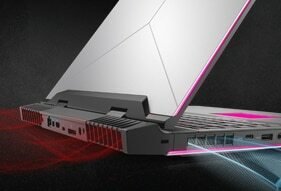 The Alienware 17 has been upgraded to give gamers the tools they need to be the best. Killer™ Wireless: Killer DoubleShot™ Pro provides wired and wireless networking setups that prioritize internet traffic and data stream to the applications most important to you. 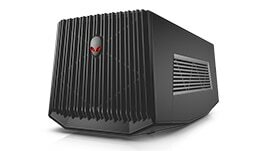 Alienware Graphics Amplifier support: Enables future-proofing of upgradeable full length, dual-wide graphics and additional 4-port USB 3.0 hub for added peripherals. We’ve added a PCIe x4 Gen 3 connection with dedicated throughput for connectivity that’s superior even to a Thunderbolt. Thunderbolt Type-C port: This multi-use port is ready to be used as a USB 3.1 port, offering 10Gbps of data transfer, a Thunderbolt connection capable of 40Gbps, or even a Display Port enabling various monitors supporting the DP protocol. Solid-state drive: An SSD brings awesome benefits to your system. Load your games faster, get shock and vibration protection, better speed and capacity, and much more. Solid-state drives (SSDs) make virtually no noise and have less failures because they have no moving parts. A quieter system means you can better pinpoint every footstep your enemy makes. Maximize the performance of your Alienware 17 laptop with Dell-recommended essential accessories. Look for these great products and more at checkout. Transform your Alienware 13, 15 and 17 notebooks and X51 R3 desktop with the Alienware Graphics Amplifier and unlock the immersive power of enhanced gaming performance. Designed to impress, the Alienware Vindicator Backpack boasts an extremely durable exterior with room in its 3 main compartments to protect your goods. 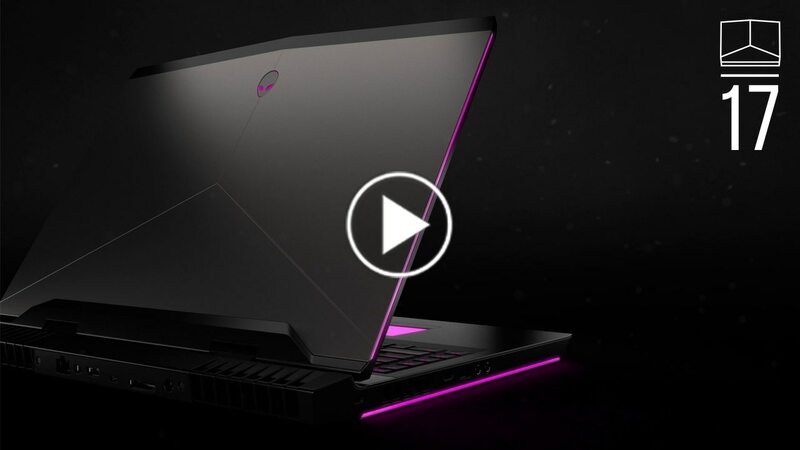 Alien Autopsy comes preinstalled on all new Alienware devices to provide advice and alerts so you’ll know about issues before they happen and have tools to fix those issues if they arise. 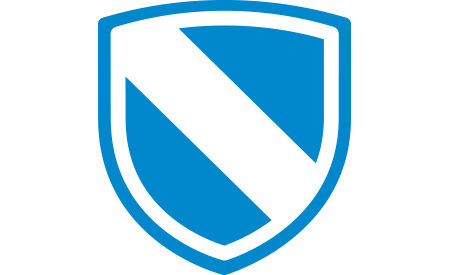 Alienware Respawn offers flexible, automated backup and recovery to ensure your important documents, pictures and media files remain safe. And Dell Support saves time and reduces hassle with valuable warranty information and services. Get 24x7 support with everything from setting up your new system to using everyday software. With new features like SupportAssist, our experts will actually contact you if they detect an issue.6 And if we can solve your issues remotely, we’ll send a technician to your location.7 It’s the hassle-free help you deserve. I show all configuration and design of this laptop and i incredibly say that this is the laptop which every gamers should have. 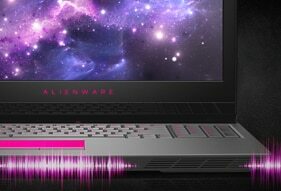 i like the design of the laptop,performance of the laptop and cooling technology to increase performance of the laptop with all new overclocking feature.